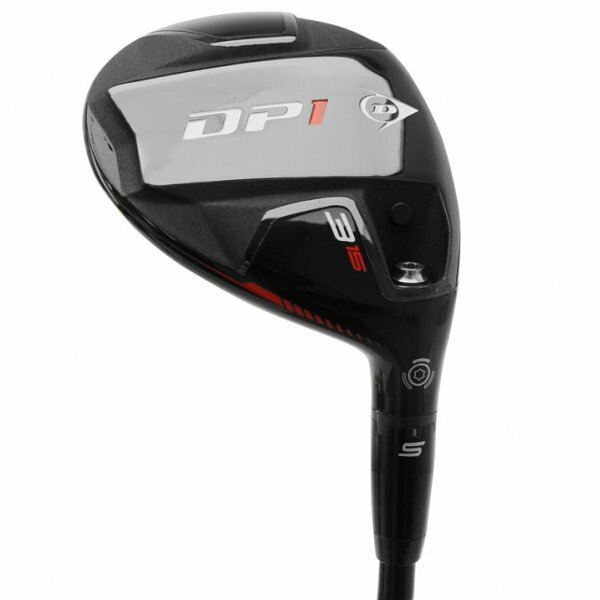 The Dunlop DP1 Fairway Wood has a Grafalloy shaft which is designed for stronger swingers as it delivers a boring, penetrating trajectory via a stiff-tip micro-mesh technology which radically improves the torsional stability of the shaft whilst promoting a responsive feel. It has a 15-degree head which is adjustable using the key provided which gives more control over your own club, the head is also coated in Aeroskin which is designed to reduce drag and create a faster club and head speeds. Nothing wrong with the head shape but all testers weren't that taken by the Aeroskin design on the crown. One tester thought it had a giant sticker on. Two testers sensed more work could have been taken with the alignment aid as the 'racing stripe' didn't appear very straight (we know from talking to Ping's Marty Jertson earlier in the year at the PGA Show that the racing stripe on the i25 driver took a very long time to perfect). The Graffaloy Pro Launch Red shaft felt a little too light for two testers and the standard grip felt a little bit skinny for some reason. Decent sounding fairway wood, however, and surprisingly pleasing levels of feedback at impact. Great to see Dunlop going down the adjustable road with this fairway wood, and thankfully performance is the best feature. Considering it costs less than half the price of the majority of fairway woods in this test, it was good to see this club ranking in the top-seven for carry distance for the majority of testers. Okay, not the most forgiving fairway wood in the test, but when catching one out the centre this thing really does fly. Never judge a fairway wood by its crown, or something. While it's fair to say this product won't be winning any awards for looks, or feel for that matter, the rather uninspiring Aeroskin coating did at least make amends in terms of performance. Not the most forgiving or easiest to control in this test, but to see a club costing £80 still rivaling the carry distance of premium models costing more than double the price tag was great to see. Good value of money to be had here if you don't fancy paying through the roof for added distance. It really depends how seriously you take your golf.